Above: Giti Tire USA in Richburg, S.C.; Below: Nokian Tyres in Dayton, Tenn. and Hankook Tire America in Clarksville, Tenn. are among tire makers that have committed to U.S. factory projects totaling $3.28 billion in the past three years. 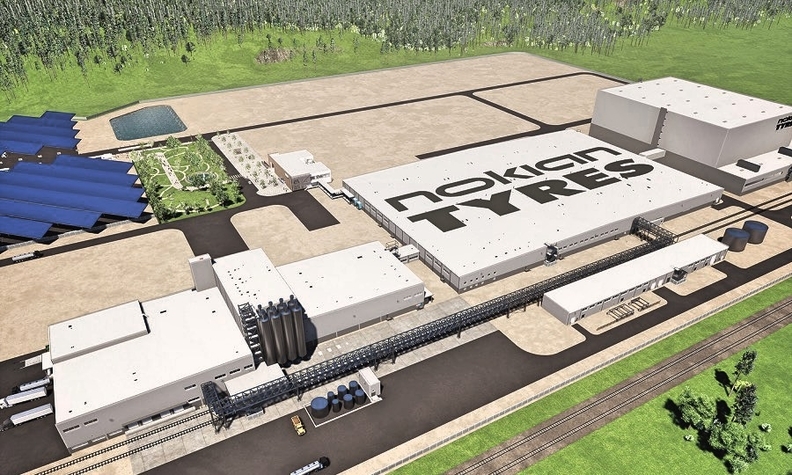 Next year, Finnish tire manufacturer Nokian Tyres plans to begin production at its first U.S. plant, in Dayton, Tenn. When the $360 million project is up and running, it will have capacity of 4 million tires a year. Nokian is part of a wave of tire industry capacity expansion in North America in recent years, much of it from foreign producers opening their first U.S. factories. Six foreign tire makers have committed to projects totaling $3.28 billion in the past three years. The tire business and the new-vehicle market are different, but U.S. tire demand reflects consumer enthusiasm for motor vehicles, and tire suppliers see opportunity in a relatively flat and mature market. The U.S. Tire Manufacturers Association reported a 2.7 percent increase in 2018 original equipment and aftermarket U.S. tire sales to 325.2 million units. So why the influx of new entrants? There's no single answer. Marisa Lifschutz, a lead industry analyst at research firm IBISWorld, points to raw material costs as one driver of new U.S. entrants. She says it's more difficult for foreign players to absorb raw material cost increases — a primary factor in tire pricing — than domestic ones. As the world price of rubber is expected to increase at an annualized rate of 2 percent over the next five years, she says foreign players would be forced to raise tire prices to compensate. In other cases, entrants say they feel they have solidified their place in their home markets and are ready to take on the next one, North America. To be competitive here means avoiding transportation costs and increasing speed to market. Triangle Tire USA expects to begin production at its first U.S. plant in Tarboro, N.C., in 2020. Triangle's parent company, Triangle Tyre Co., is headquartered in Weihai, China. "Producing in North Carolina and distributing locally, vs. shipping product in from China, greatly increases our speed to market and significantly improves our level of service to our customers," Triangle Tire USA CEO Manny Cicero says. Foreign tire makers setting up shop in the U.S. have established technical and sales centers here, and have relationships with U.S. automakers and retailers. A Chinese tire manufacturer such as Triangle also would be able to sidestep U.S. tariffs, which have suddenly become a real issue in long-term planning. Import tire manufacturers have been fighting tariff issues for years. Cicero says avoiding duties and tariff costs was one of the main motivations behind Triangle's decision to build its $580 million plant in Tarboro. On the other hand, a European manufacturer that is dedicated to snow tires, for example, might be attracted as an opportunity to expand its product portfolio, said Bruce Harrison, IHS Markit's director of automotive advisory services. That's the case with Nokian. Company spokesman Wes Boling said Nokian has supplied snow tires to North American retailers for years, but the supplier can now alter its portfolio to better fit U.S. needs. "A major part of our product mix at this point has been winter tires," Boling said. "We'll continue to be very strong in that market segment, but we also have really strong all-season and all-weather tire offerings for areas of North America where winter tires are not as popular. "We're able to make products here that are tailored to this market." The capacity surge will make North America a more competitive environment. "The existing Tier 1 players are definitely going to be experiencing the pressures of increased competition, and that will be true at the original equipment and in the replacement tire market," Harrison said. "Competition comes in various forms. It might be in the form of bidding on fitments or supplying a retailer or in the form of pricing." But stiffer competition is unlikely to upend the industry's giant players, Lifschutz said. The market's big four players — Michelin, Bridgestone, Goodyear and Cooper Tire — represented more than 60 percent of total industry revenue in 2018. "Those players continue to maintain a competitive advantage due to strong brand recognition, favorable reputation and high level of advertising expenditure," Lifschutz said. But some new entrants have capitalized on new plants to boost their market penetration here. 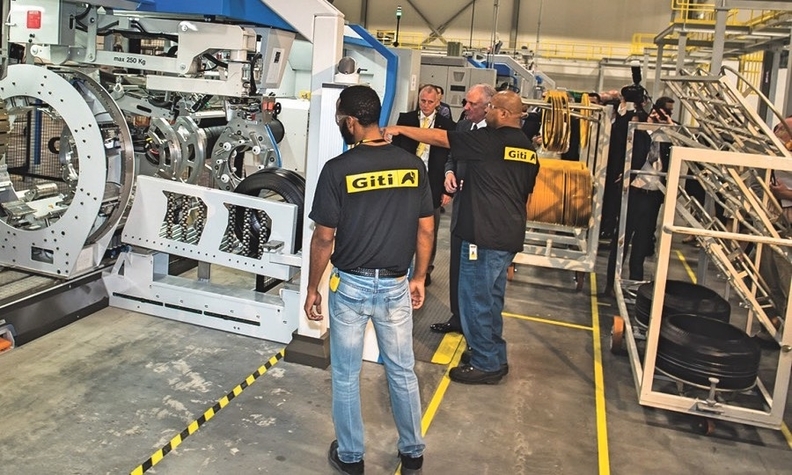 Giti Tire, headquartered in Singapore, opened its first U.S. manufacturing plant in 2017 in Richburg, S.C., a $560 million investment. Although Giti was a key player in China, with more than 200 original equipment fitments there, it had no business supplying automakers in North America. Since the South Carolina plant opened, it has won contracts supplying the 2019 Volkswagen Passat midsize sedan and the 2018 Volkswagen Tiguan compact crossover. Jim Mayfield, Giti Tire USA's head of sales and marketing, says once a tire supplier wins an original equipment fitment, more success follows. "It brings credibility to the brand, and also visibility, as consumers start seeing it on vehicles," Mayfield said. 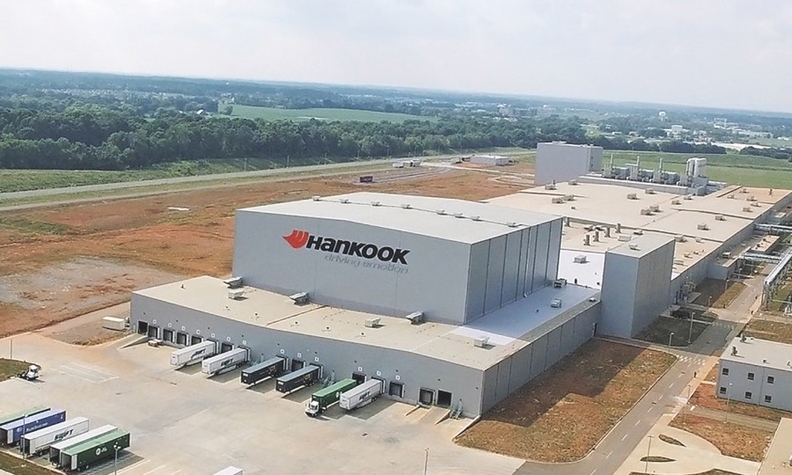 Hankook Tire America, a unit of South Korean tire supplier Hankook Tire Co., built its first U.S. plant in Clarksville, Tenn., in 2017. The company has since won contracts to supply Ford, Volkswagen, Honda, Toyota and Nissan and in the U.S.
"Our first plant may be less than two years old, but we've been growing a brand in the U.S. for decades," Hankook spokesman Todd Walker said. "We've been an OE supplier for a long time and this only increases the supply and increases our ability to respond to their needs." More plant investments will come, Harrison predicts. "There's a ton of volume available here and a tremendous variety of retail centers to be supported," he said. "So it's a target-rich environment for new players."